White Rhino is a potent Indica strain, and is easily recognizable with its short to bushy, light green to dark green leaves. 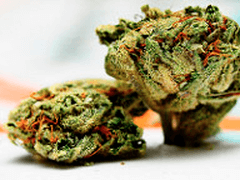 The nugs are a hue best described as being silvery white and it is well known for its potency, which comes with a high that is hard and fast, mostly due to the high THC content which ranges from 14-20%. 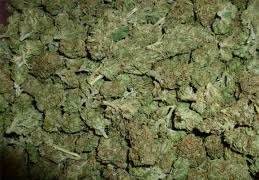 With its background of White Widow and a North American Sativa plant, it’s also known for its powerful aroma, which is a mix of an earthy, bitter, and would like to smell. 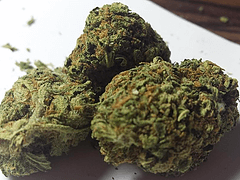 It’s perfectly common to experience feelings of laziness, happiness, and euphoria after smoking this strain of weed, which is why it’s primarily used in the medical world to treat stress, pain, and insomnia. The primary negative effect of this strain is dry mouth, although dry eyes is a possibility. 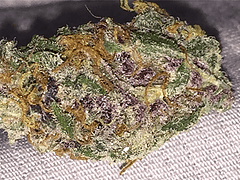 This strain is also known for being particularly durable, being able to be grown in extreme climates.